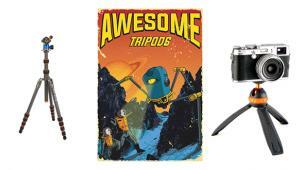 There’s a new kid on the block when it comes to tripods, and they’re impressive, both in design and philosophy. 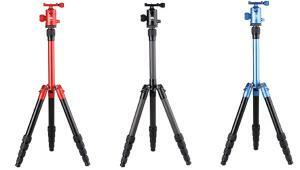 Redged was founded in Holland by a nature photographer (Ed Dorrestein) and a sports and reportage photographer (Bart Bel) in order to get the kinds of tripods they personally wanted. 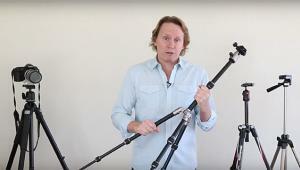 What makes their tripods so good? Everything. Finish. Design. Stability. Vibration proofing. 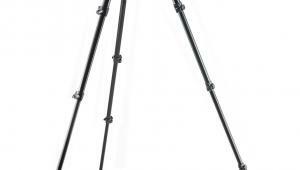 Weight: how does 1 kg (just over 2 lbs) sound for a carbon-fiber tripod that goes up to 56-68” (145cm), depending on the head fitted? They’re a long way from the cheapest on the market, but they’re also a long way from the most expensive. 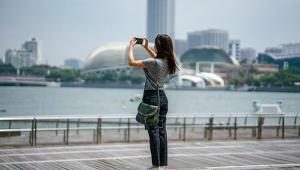 The point about distributors from 27 countries is important as photokina is a truly international show, which is why we always like to see American companies there. 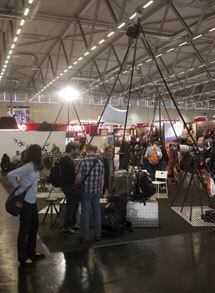 People like MAC Group with Induro, another excellent make of tripods; Vanguard with their own brand of affordable but good-quality tripods; and of course distributors such as HP Marketing Corp., with Berlebach’s German-made wooden tripods and Novoflex’s support systems, or RTS with Cullmann. 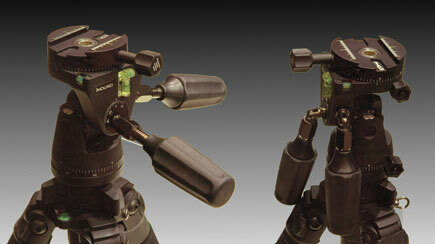 Then of course there are Manfrotto and Gitzo. 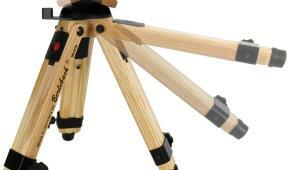 Of course, to a large extent, a tripod is a tripod. It has three legs (despite Novoflex’s curious attempt to introduce a four-legged QuadroPod at photokina 2008) and it holds the camera off the ground. 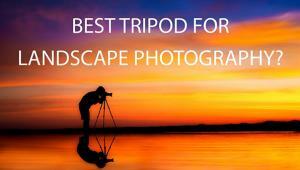 But different photographers need (or want) different styles of tripod. 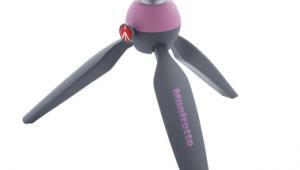 Styles such as Manfrotto’s new Compact One entry-level range, aimed at “social recorders” (the phrase they also use in the original Italian): light, inexpensive (by Manfrotto standards), and colorful to the point of vivid. 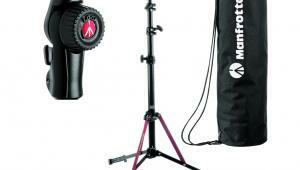 Styles such as Induro’s solid, no-nonsense tripods. Styles such as Giotto’s redesign, with a forged boss, lighter and stronger than the old die-cast boss. Styles such as Benro’s “lay-flat” design, where the boss is linear instead of circular, to allow easier packing, especially when flying. 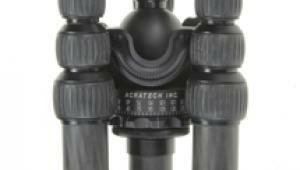 Styles such as the brilliantly simple shock absorber on some Vanguard tripods, so that if you slack off the center column lock and let go, some of the shock is absorbed by a silicone collar between the head and the boss. And so forth. “Give me a hug!” Three-way heads are almost always spiky and awkward to pack, so Induro designed an ingenious, simple, strong, fold-away handle. 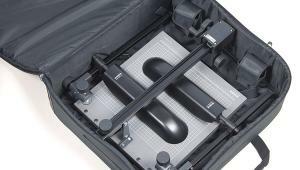 Benro’s fold-flat design, ideal for putting in a suitcase. Vanguard’s brilliantly simple (and bright orange) shock absorber. Even so, there are trends. 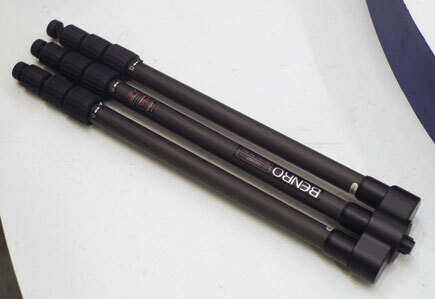 Carbon fiber is now increasingly common, though there are many different grades from Gitzo’s multilayered all-spun to the cheapest all-rolled, via Redged’s hybrid rolled core with a spun, sealed topcoat. Perhaps, needless to say, the more expensive grades are lighter, stronger, and more vibration-resistant. You get what you pay for. “Inside-out” legs, that can be folded through 180? 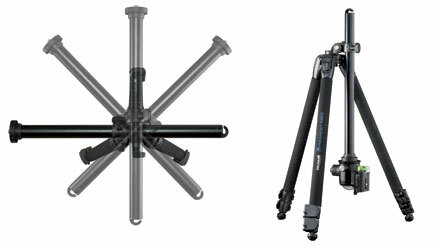 for compactness when shipping, are now increasingly de rigueur for the better travel tripods: the design first appeared on, yes, Gitzo. “Reversing” or “inside out” legs and carbon fiber from Redged. 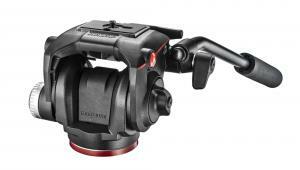 Cullmann’s baby “Copter” from the Magnesit range, with a 10-year guarantee. 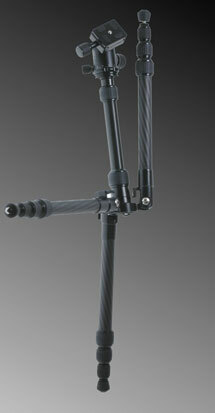 Variable angle legs and dual-function center columns are increasingly usual on the better tripods. These are Cullmann Magnesits. 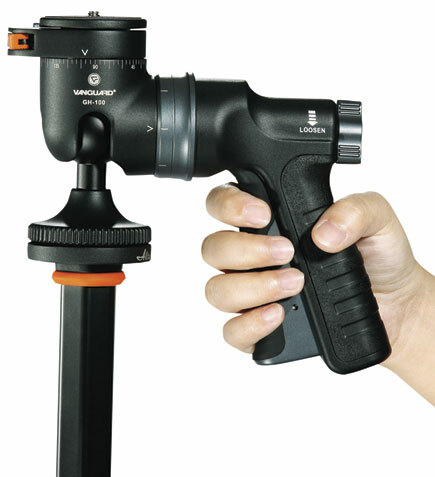 One more trend worth mentioning is that with a few models, you can remove one tripod leg and the center column; screw the two together; and create a full-sized monopod. 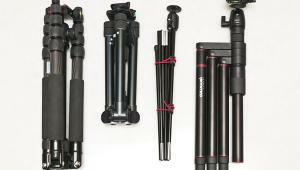 Yes, it adds to the cost of the tripod, but it doesn’t add anything like as much as the price of a separate monopod. 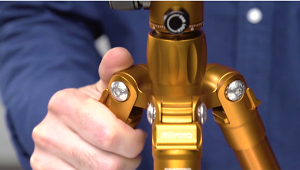 Both Redged and Giotto’s showed tripods with this feature. 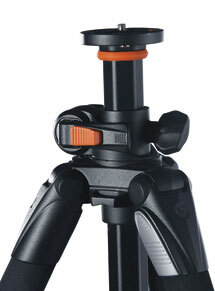 If a tripod is a tripod, tripod heads can be another matter entirely. 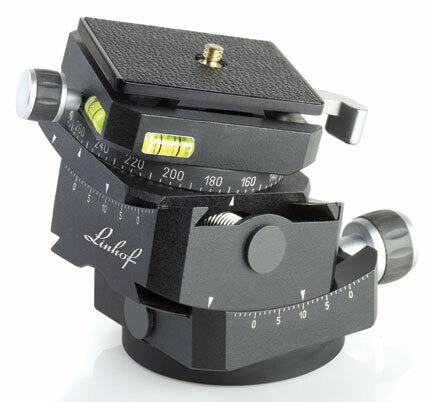 Linhof showed a wonderful geared three-way head that for once is actually cheaper than its only competitor, the ARCA-SWISS “block,” while ARCA-SWISS themselves showed a new, smaller, lighter, and less expensive version of their Monoball P head, the p0. 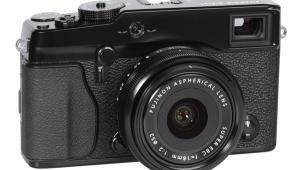 The p0 is enhanced with a 90? movement that is missing on the bigger head. 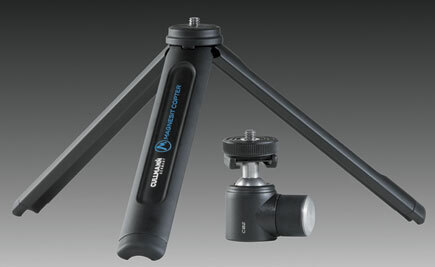 Sure, 240 euros (call it $325) is more than most people spend on entire tripods complete with heads, but when you handle it, you see where the money goes. Linhof’s new micrometer-drive geared head. Leveling bowls seem to be making a comeback, too. These go between the top of the center column and the tripod head proper, and allow quick, easy leveling before you start to “use up” the movement of the head itself. 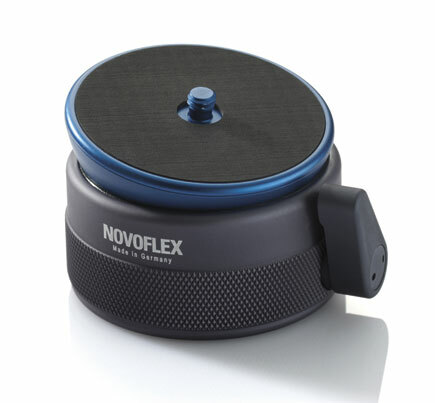 Novoflex had a new one, and we saw two or three others.